It's always a good idea to detox once in a while Zoe’s come out with a whole program, with cleansing teas and a one-day detox kit, if you're looking for a shortcut. Variety of flavours, mix of natural juices and soups for their detox kit. Tea detox is an extremely scientific and effective way to detox, from what we hear. Be it green tea or black, chamomile or lemongrass, each comes with a different purpose which help exiling toxins from your body. Zoe has a seven-day detox plan which come with a nutritionist-approved diet chart and helps a great deal in weight loss, metabolism and also flushes away toxins. The one-day detox kit is a bag of four natural juices, two natural soups and four teas, along with an organic face mask and a pack of museli. 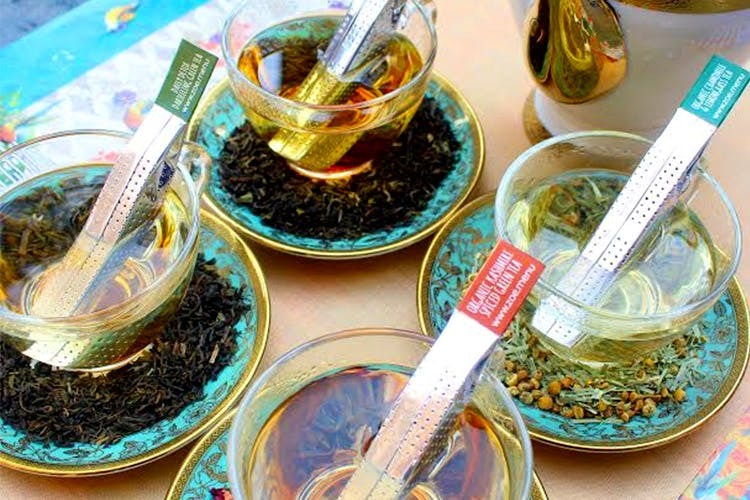 The teas include Kashmiri, Tulisi, Darjeeling and a herbal infusion tea, each with different health benefits. It comes with a strict schedule that tells you what to drink when, so by the end of the day, you've rid your body of all those toxins, you're glowing and you feel much healthier. Make sure you stick to the schedule they've given with the one-day detox kit.